16 oz. 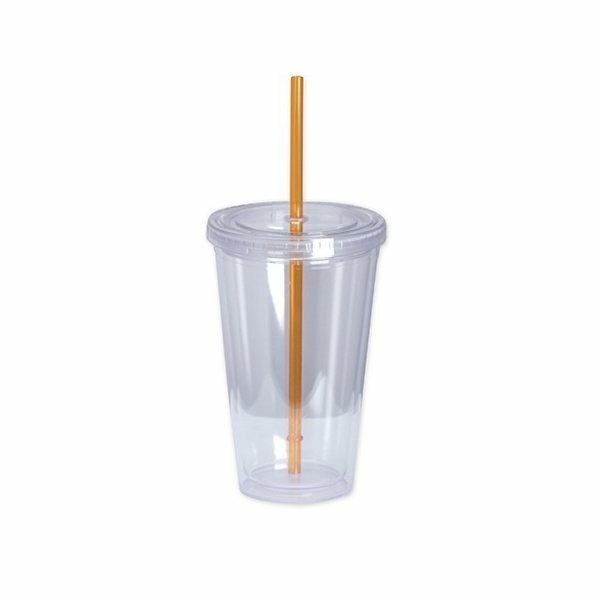 double-wall acrylic cup with screw-top lid, colored straw and BPA free. These were an enormous hit in the trade event. We're happy using the product which we purchased. 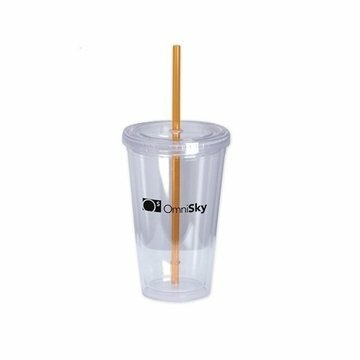 Very easy to order, professional service. 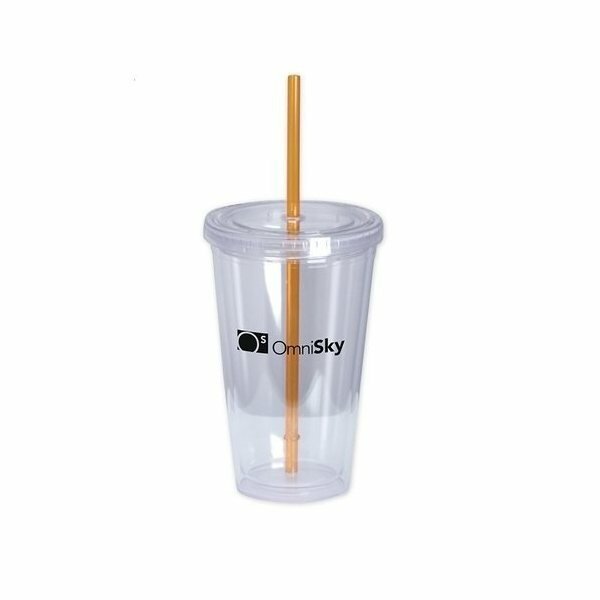 Your staff was the best while working with us as we were making our selections and how to complete our order as we were getting the best amount of product for our money. I purchased this for my sons graduation as gifts to his elementary teachers who helped us get through his disability issues.